Saudi Arabia will invest around 3.8 billion dollars to enhance access to Geo-science data and reduce regulatory red tape as it looks to boost mineral exploration, senior government officials said on Wednesday. Government plans to jump-start the Saudi mining sector to form part of a broader industrial strategy aimed at diversifying the economy and attracting private-sector investments worth 1.6 trillion riyals (426 billion dollars) over the next decade. 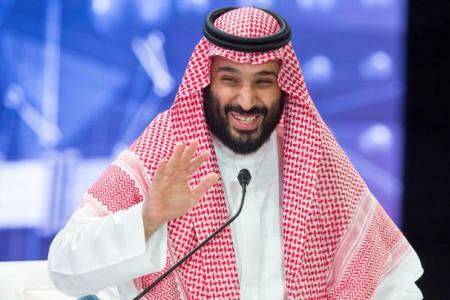 Investments will be made through the National Industrial Development and Logistics Programme (NIDLP), part of Vision 2030, a reform strategy led by Crown Prince Mohammed bin Salman and intended to wean the economy off oil while creating jobs. “For some time Saudi mining has been characterised by a lack of publicly available Geo-science data, longer processing times on licenses and a lack of transparency,” Khalid Al-Mudaifer, vice minister of mining, told an African mining conference. He said the 3.8 billion dollars would be spent on making it easier to do business and improving data quality to reduce the risks associated with investing in new mining opportunities for gold, zinc, rare earth metals and other minerals. “Also the law allows 100 per cent ownership … and you can apply for exploration or mining licenses,” he said. Earlier, Abdulrahman Al-Belushi, who heads mining strategy at the NIDLP, said there were vast opportunities in Saudi Arabia should investors look to exploit mineral resources valued at an estimated 1.3 trillion dollars. The government has identified 51 potential exploration projects, including 14 gold and 14 copper, covering around 1,351 square kilometers that could be among the first targeted, another official said.